Our digital collections cover a wide range of topics and disciplines that you can explore through Open Collections. Among our thousands of digital items, you can find materials to support your research, your teaching, and even your imagination. Below, we’ve selected a few of our collections that may be helpful when researching topics related to Asian Studies. Chinese Rare Books Collection: this collection is mainly composed of works from the Puban and Pang Jingtang. You can find census information, literature, as well as historical, political, and military documents from China covering the years 1368 to 1959. Japanese Maps of the Tokugawa Era: this is the world’s largest collection of maps and guidebooks of the Tokugawa Era. It contains travel maps, guides and stunning woodblock prints. The collection is used as a resource at the ASIA 453: Japanese Travel Literature class. If you are curious to know more, check out our blog post Explore Open Collections: Japanese Maps of the Tokugawa Era. Meiji at 150: the collection is part of the Meiji at 150 project, which was created to celebrate the 150 years since the start of the Meiji Era in Japan. The collection consists of materials produced during the period, including: woodblock prints, photographs, books, albums, and booklets. 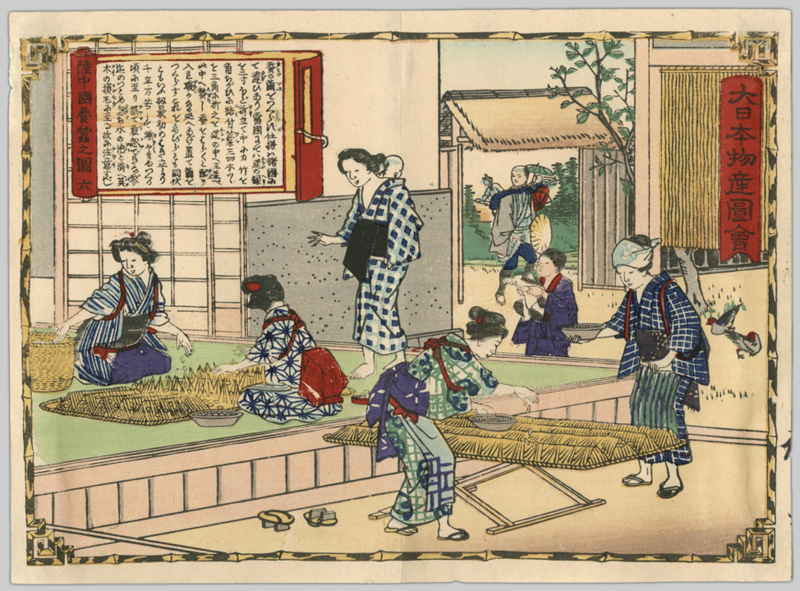 Visit the Meiji at 150 website to learn more about planned special events, lecture series, workshop series, podcast, and digital teaching resources. One Hundred Poets: the collection consists of 74 books and 20 sets of cards of the Japanese poetry anthology “Hyakunin Isshu” (One Hundred Poets, One Poem Each). This anthology, edited by Fujiwara no Teika, became the most famous poetry anthology in Japan. Get to know about this collection, more specifically about the card sets, by checking out our blog post Utagaruta: a poetry game. Family wedding portrait, Vancouver, B.C. Chinese Canadian Stories: composed of several sub-collections and fonds, this collection covers a wide range of topics, including Chinese Canadian military service, businesses, and social life in Canada. The Chung Collection: the collection contains materials that can be comprised into three themes: British Columbia History; Immigration and Settlement; and the Canadian Pacific Railway Company. The collection has several materials relating to the Chinese community in British Columbia. Yip Sang Collection: the collection contains Yip Sang’s personal and business-related materials. Yip Sang was an important businessman in the Chinese community in Vancouver and was often referred to as the “major of Chinatown”. Get to know more about him and his collection in our blog post Explore Open Collections: Yip Sang Collection. 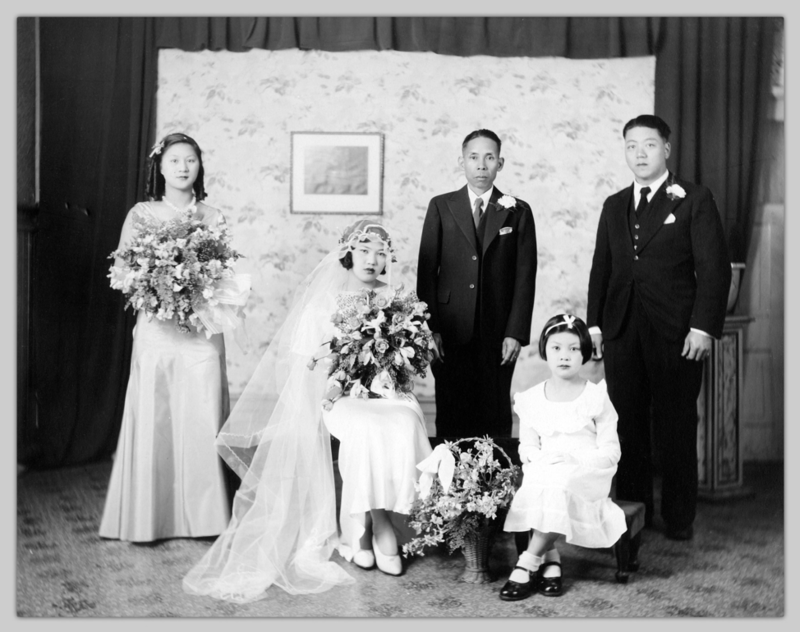 Japanese Canadian Photograph Collection: this collection contains materials that registered the life of Japanese Canadians in British Columbia. The collection is a great resource for anyone researching about how Japanese Canadians were treated during the World War II. Tairiku Nippo (Continental Daily News): this publication was an important information source for Japanese Canadians in British Columbia. It was published between 1907 and 1941, and is a valuable resource for studying the history of the Japanese Canadians before the World War II.